At the University of Washington we are committed to working with and for undocumented students. This is why at the LWB Office we work to connect undocumented students with allies across campus who can provide them with additional support and resources. We know how important it is for undocumented students to know there are faculty and staff who are knowledgeable on undocumented student issues and who are ready and willing to support them. At the University of Washington, undocumented students can expect to find allies across our campus who can support and help them access a variety of resources and information. LWB works to provide training to staff and faculty who are interested in becoming allies to undocumented students and enhancing their working knowledge on how to best serve undocumented student populations. We invite you to explore how you can connect with allies at the University of Washington. Visit the LWB Office: Contact us at undocu@uw.edu or visit us on the third floor of the Kelly Ethnic Cultural Center located on 3931 Brooklyn Avenue NE Seattle, Washington 98105. Attend Purple Group Meetings: Faculty and staff who are allies to undocumented students are welcome to present or attend Purple Group meetings. Sign up to participate in an Undocu Ally Training: You can work with LWB Staff to attend or present at a LWB Undocu Ally training. This is not only a good leadership opportunity, but a great way to connect with allies from across campus. Contact us at undocu@uw.edu for more information. Interested in immigration law? Come learn how our current immigration system works! This presentation will also include information on some forms of relief and know your rights information. Learn how to access our FREE legal services at the Northwest Immigrant Rights Project across Washington State. 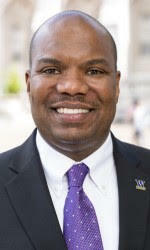 Rickey Hall was appointed as the eighth vice president for minority affairs and diversity at the University of Washington effective Aug. 1, 2016. Hall leads the university’s equity, diversity and inclusion efforts, and plays a key role in advancing institutional excellence. He has oversight of the UW Office of Minority Affairs & Diversity (OMA&D) which administers programs that broaden college access, support student success and enhance diversity-related teaching and learning across campus. OMA&D also works collaboratively with and serves as a resource for colleges and administrative units as they establish, coordinate and assess their contributions to institutional diversity goals. Hall has over 20 years of experience in higher education and is involved with a number of national organizations including the National Association of Diversity Officers in Higher Education and the Association of Public Land-Grant Universities Commission on Access, Diversity and Excellence. Hall came to the UW after serving as the inaugural vice chancellor for diversity and inclusion at the University of Tennessee, Knoxville for three years. Prior to that role, he served for six years as the assistant vice president for equity and diversity at the University of Minnesota. Hall was awarded the 2015 Unity in the Community Award from HoLa Hora Latina (Knoxville, Tenn.) and selected as an American College Personnel Association Educational Leadership Foundation 2015 Diamond Honoree. He earned a bachelor’s degree in American studies and a master’s degree in higher education, both from the University of Iowa. Hall is currently completing a doctor of education degree in organizational leadership at the University of Minnesota. Carolina Valdivia is a doctoral candidate in Education at Harvard University. She is a recipient of the Ford Foundation Pre-Doctoral Fellowship. Her research interests include immigration, law and society, race and ethnicity, and social movements. Her work explores the ways through which illegality impacts the lives of immigrant youth and their families, including their educational trajectories and political participation. 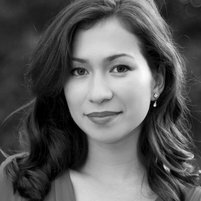 Her current project explores how deportation and its omnipresent threat shape the life trajectories of immigrant young adults. 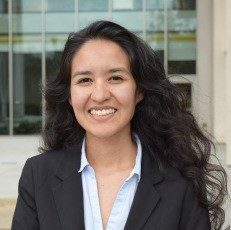 Drawing from existing research and her own personal journey as an undocumented student, Carolina will present on the experiences of undocumented students, including the challenges they face in high school and college. We will pay particular attention to how these challenges are exacerbated by the current political climate. Attendees will also learn about the different steps they can take to support undocumented students. Professor Soltis received her bachelor’s degree from the University of Georgia, where she was awarded the Foundation Fellowship. Emiko received her PhD from Emory University and wrote her dissertation on the role of global human rights strategies and local music practices in the mobilization of the Coalition of Immokalee Workers, an interracial farmworker organization in South Florida. Her research and teaching interests include social movement theory, global studies, music and social movements, U.S. immigration history, and racial formation theory. Having served as a longtime student activist, Emiko is committed to mentoring undocumented youth and providing them with the knowledge and skills they need to be effective leaders in their own freedom struggle. Dr. Laura Emiko Soltis will share her experience as a teacher at Freedom University, an underground freedom school for undocumented students in Georgia. She will discuss the rise of anti-immigrant policies in the Deep South from a racial and economic justice perspective, and describe how Freedom University has resisted such policies by utilizing a liberatory education model and human rights framework in the classroom, and a multi-level strategy of intersectional coalition building, direct actions, and federal legal challenges in the public arena. Most importantly, Soltis will share what she has learned as a teacher of undocumented students and present a photographic history of their fight against modern segregation in one of the most hostile states in the country. Marissa Vichayapai, Programs Director of 21 Progress & Organizing Director of FAIR! In Washington State, Asians and Pacific Islanders (API) make up 26% of the undocumented community, yet APIs have the lowest application rates to federal programs that offer protection and access to resources. Facing their own unique challenges, the underserved community of APIs who are undocumented fight to gain visibility and access to the resources they need. Fearless Asians for Immigration Reform (FAIR! ), a campaign of 21 Progress, was the first in WA State to organize on undocu API issues. Since it’s launch in 2014, the campaign has reached over 20,000 members in the API community through advocacy trainings, cultural ambassadors, social media campaigns, and grassroots activism. In this workshop you’ll learn about the trends, stories, and needs of the undocumented API community, best practices from the field, and ways you can create change and equity within your community. Join us to discover how you can use your power to be a transformational ally to undocumented APIs in this interactive and informative workshop. 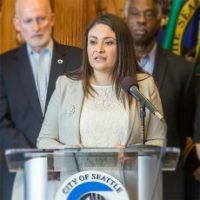 As one of two citywide representatives and the first person of Latino descent elected to serve the Seattle City Council, Councilmember M. Lorena González is a nationally-recognized civil rights leader and community advocate. As a civil rights attorney she represented people who were victimized by those in authority positions. She primarily represented workers in wage theft and anti-discrimination cases as well as representing victims of police misconduct. Born and raised in Washington’s lower Yakima Valley to a Spanish-speaking migrant farmworker family, Councilmember González earned her first paycheck at the age of 8, alongside her parents and five siblings. She relied on scholarships and worked 3 jobs to attend community college and later Washington State University. In 2002 she moved to Seattle to attend Seattle University Law School, where she graduated with honors in 2005. Since then she has worked with foundational immigrant rights organizations like OneAmerica, El Centro and Latino Victory Project to ensure Seattle is a Welcoming City to all. As the Executive Director for Community Building and Inclusion at the University of Washington, Marisa Herrera oversees a student-union style facility and leads a unit that develops campus diversity programming in the areas of leadership, education on social justice, provides student leadership advisement and campus-wide diversity programs that include new student welcomes (Welcome Daze) and cultural graduations. The Kelly Ethnic Cultural Center is the largest cultural center on a college campus in the nation that provides direct service to 5,000 students ranging from underrepresented minority (URM), first generation, low-income and students of color. 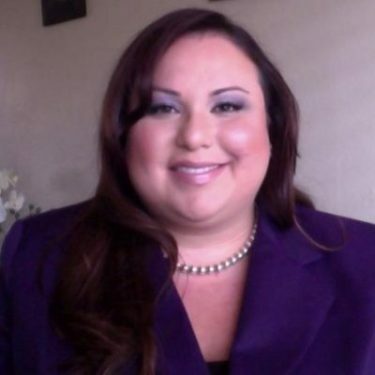 Marisa received her doctor of education degree from the University of Southern California in Higher Education Administration and has worked in a variety of student services, diversity and admissions roles at Stanford University, UCLA and NAU prior to coming to the UW. In addition to her Executive Director role, she also an instructor in the College of Education. Marisa has served on several national advisory boards including the National Conference on Race and Ethnicity in Higher Education, Association of Black Culture Centers as the Washington State Chair, College Board Native American Student Advocacy Institute, the Washington State Coalition for Undocumented Students, Girl Scouts, The Center for Inclusive Entrepreneurship and serves as board Secretary for Casa Latina. In 2017 she was awarded the inaugural Evans School of Public Policy award for outstanding staff contributions to diversity called the “POC Voices and Visions Award” given by the Evans Students of Color Coalition. She was also recognized in 2015 by the NW Asian Weekly Newspaper’s Women of Color Empowered Awards “Rising Star Award”. In this workshop we’ll uncover the history of Black migration to the United States and the forces responsible for that migration from the Atlantic Slave Trade to neocolonialism. 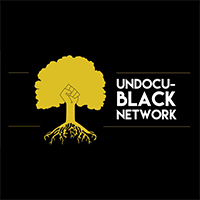 We’ll discuss anti-blackness, xenophobia, and the environment in which the UndocuBlack Network came into being. Additionally, we will explore frameworks, tools, and practical steps that individuals and organizations alike can take to support undocumented black migrants. Attendants will walk away with a deeper understanding of what is needed to build a stronger movement for racial justice and migrant rights. With the current political climate, there continues to be much work to be done. How do we continue to do impactful work? What causes us to burn out? This workshop will focus on the different types of activism and self-care that we can practice to continue fighting the good fight. This workshop will include hands on self-care practices and discussion. As the current national discourse on immigrants become distorted by xenophobia and misconception, increasing risk-aversion often guide institutional decisions around supporting undocumented students. This session will explore how institutions of higher education can effectively address the unique political conditions and experiences of undocumented students pursuing higher education and identify the barriers to their success. This conversation will also provide staff/administrators with tools from UC Berkeley’s Undocumented Student Program (USP) to deepen understanding of holistic models of support to accelerate the needle of equity and inclusion for all students in higher education, regardless of immigration status.